Living a quiet life in the suburbs, Sophie Brinkmann is captivated by the handsome and sophisticated Hector Guzman. She has no idea that beneath Hector’s charm lies something far more dangerous. Hector is the head of an international crime syndicate. He is used to getting what he wants, and what he wants now is the total annihilation of his rivals. Before she can fully grasp the extent of Hector’s world, Sophie is trapped within it. Her house is under surveillance, her family is at risk. Hector is at war – with Russian hit men, South American drug traffickers, German gangsters – and now Sophie is too. But who can she trust when even the people who have sworn to uphold the law are as dangerous as those dedicated to breaking it? If Sophie is to get out alive, and with her integrity intact, she will have to summon everything within her to navigate this intricate web of moral ambiguity, deadly obsession and ruthless killers. I usually judge how good a book is by the amount of time it takes to me to read the first 100 pages. Often I become distracted, wander off for coffee or snack raids to the kitchen or decide that yes, my apartment is a tip and needs tidying, leaving my book to one side to be picked up again later. Indeed, you could be forgiven for thinking, like me, that on initial inspection ‘The Andalucian Friend’ would be a Scandinavian crime novel very much like any other Scandinavian crime novel but you would be wrong…so wrong… So the fact that I read this in pretty much one sitting- all 446 pages- completely immersed in its myriad characters and beautifully interwoven plotting, bears testament to how good this book truly is. Into this mix comes Sophie Brinkmann and Lars Vinge, two brilliantly conceived characters who add a depth and richness to the overall plot and whose experience in this sordid world fundamentally change them in ways they could not have imagined. Sophie is a nurse, a widow and a mother, just a normal fundamentally good woman, who becomes more and more tainted by her involvement with Hector Guzman, but who grows exponentially in character and strength as the plot progresses, through her immersion in this dangerous and violent world. Lars Vinge is a Swedish police officer, tasked with surveilling Sophie, whose moral and physical decline becomes such a potent part of the novel, as his obsession with her and his building distrust of his colleagues, draw him down into a world of addiction and bleakness that at times is truly heartwrenching. His suspicions are in no way groundless, thus unveiling the morally bankrupt and corrupt world of those tasked to catch and punish kingpins like Guzman, and whose greed and moral bankruptcy knows no bounds. Sophie and Lars completely held my interest throughout the novel, experiencing the highs, but generally more numerous lows, of their differing involvement in the violent power struggles of the warring criminals at great personal cost to them both. 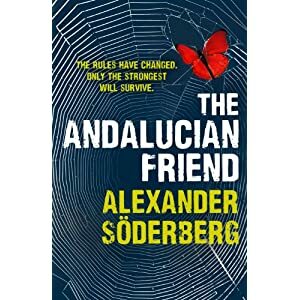 As I said in my introduction, this is unlike any other Scandinavian crime novel I’ve read as in all truthfulness this does not read as a Swedish crime novel per se, but more as a strongly all encompassing European style in characterisation, dialogue and atmosphere. Soderberg captures perfectly the subtle nuances in his characterisation of the differing European protagonists, but also writes with a lyrical style more prevalent in French crime fiction and the emotional intensity of an Italian crime novel, whilst interweaving the bleak psychological darkness of his Scandinavian counterparts. Interestingly his depiction of violence feels distinctly American, and there is one altercation that brings to mind a Tarantino-esque movie scene where no one could possible escape unscathed. The translation by Neil Smith, beautifully allows these contrasting styles to be self evident to the reader, and to my mind certainly, supports the effortless flow of the narrative. Soderberg is supremely confident in linking these different styles together, and with a fairly large cast of dramatis personae to introduce, ensures from the outset that the reader can easily navigate their relationships to one another as the story unfolds and their connections and conflicts are revealed. I am delighted that this is part one of a projected trilogy of books, because purely on the strength of this one this could be one of the most powerful trilogies ever produced in the crime genre. A remarkable debut novel that only bodes well for further books by this author. It’s so difficult I think to create a novel that not only tells a thriller kind of story, but also develops strong characters. I’m glad Söderberg succeeds here. And I know just exactly what you mean about the way you decide whether a book is going to be good or not. I do a similar thing. Sometimes I find I was wrong as a novel picks up a little on in the story, but in general, I think that what happens in the first few chapters is critical. Thanks for a superb review as ever. Thanks Margot! Must admit I approached this one with a little bit of Scandi fatigue so was delighted that it wasn’t just a run of the mill tale. A very impressive debut indeed! Thanks for highlighting this one, another new one to me. Great review. Thanks very much- it’s a corker of a good read! 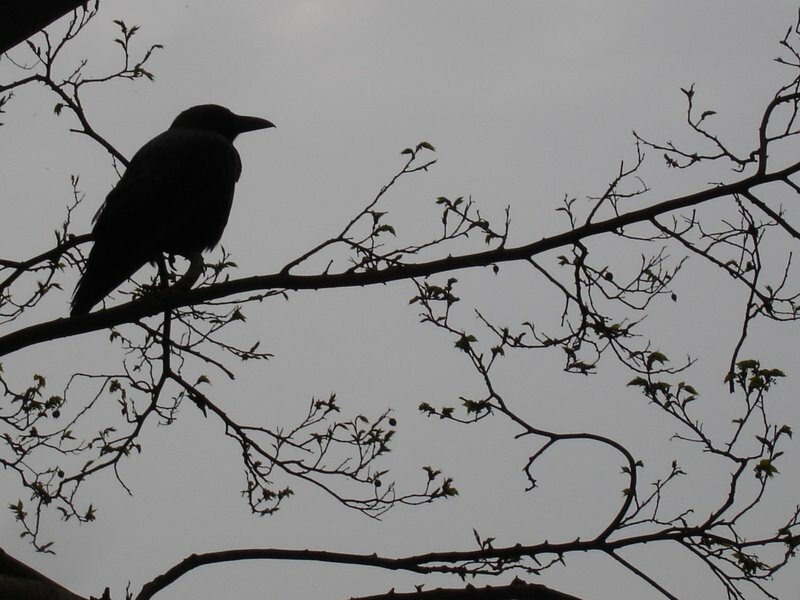 Great review Raven! I put it on my wishlist.